Custom designed hinges that fold easily for storage/travel. 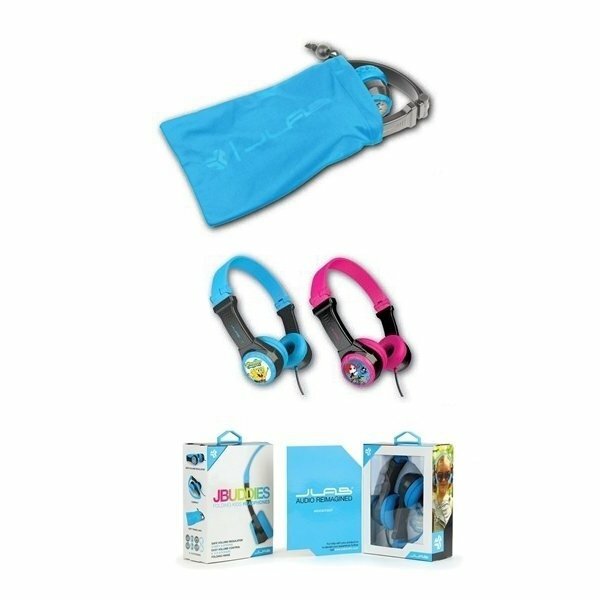 Volume-Safe Headphones - Just for Kids. Adjustable Headband with Soft Pillow Cushion. JLab signature C3 Sound - Crystal Clear Clarity. Compatible with today's top mobile devices, tablets and DVD players.